Above left: Steam powered sawmill circa 1920. You can see Longhouse Road at the right side of the image. Above right: The view from the same vantage point in 2001. 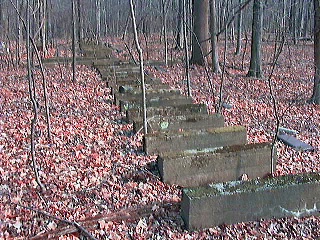 Right: The remaining foundation of the sawmill.